My first read for 2017 and a great way to start the year. Everyone knows the story about Norman Bates and his mother issues but it was interesting to listen to the audio and view the story through a different medium. The narrator was William Hootkins and I whilst a couple of the character voices didn't work for me I thought he was creepy and disturbing as Norman/mother. This is a very short book and it only took me just over three hours to finish the audiobook. The pacing is quick without being frenetic, the different povs giving balance to the storyline but it's Normans story that pulls you in. The story skips along nicely until the end and that's when it starts to get really creepy, the end scenes give new meaning to the word disturbing. 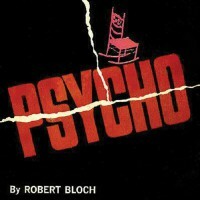 Classic horror that was great fun to read.